I've been designing word art pack for My Memories for about 8 months now and it's been a great experience! While I have continued to create and share my word art freebies with you, I have also loved creating themed word art packs for sale and use with the My Memories Suite 2.0 software (and any other software that supports PNG images). 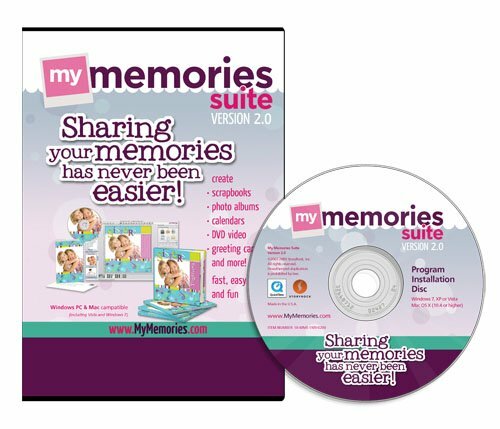 My Memories Suite 2.0 is currently the #1 rated digital scrapbooking software on the market (according to Top Ten Reviews). My Memories Suite 2.0 offers an exciting new interface, intuitive features, and a variety of unique designs. For the first time it is being offered via download so users can start scrapbooking immediately! I have one free copy of My Memories Suite 2.0 to give away to one lucky reader! To enter, simply visit the My Memories store, pick your favorite digital scrapbooking kit in the store. Leave a link in a comment to this post and tell me what you like about it by 5 p.m. on Thursday, October 27th, 2011 and you'll be entered for a chance to win! !